H.B. Beal Secondary School in London, Ont., the Jason Edmonds Memorial Award committee and the graduating students at Beal needed some help. What was required was some new sponsorship dollars for the Edmonds award given out each year to a Beal graduating student. The money was not insignificant; the continued remembrance of the tragic death of Jason Edmonds was even more so. The original sponsor had decided to move on after 10 years. A new one needed to be found. In 2012, Tina Bax, founder and president of CultureWorks, stepped in and kept the memories – and finances – alive. Tina and CultureWorks continue to be the major sponsor to this day. Now for the unfortunate circumstances which led to this need. Jason Edmonds, a 23-year-old Beal graduate, died in a tragic car crash in January of 2000. Two of his friends, Shaun Lodge and Stewart Farnum, both 21, were also victims in the road rage accident on a London, Ontario, street. The accident and the loss of the three young lives shocked the London community. At Beal, Jason Edmonds was not only an outstanding basketball player, but also a talented musician, model and actor who would do whatever he could to help other people. 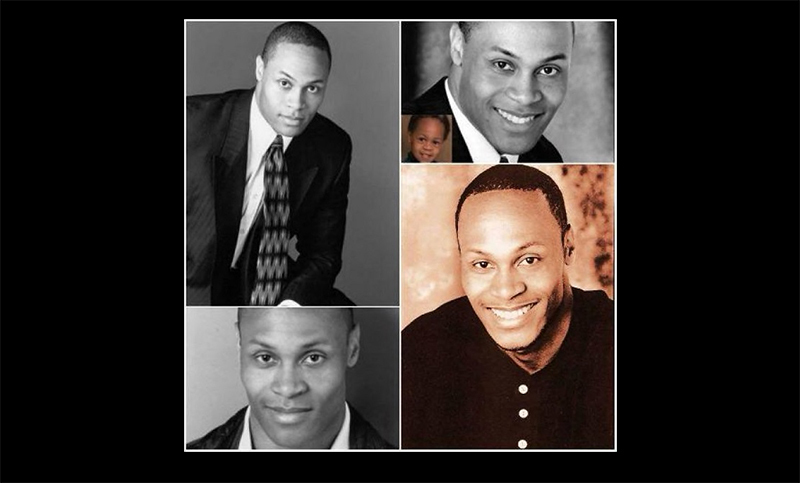 His mother, Denise Pelley, is a singer and one of London’s musical treasures. Joe Edmonds, Jason’s father, is one of London’s well-known saxophone players. The high school of note — Beal Secondary School — was founded in 1912 and is the second largest school in Thames Valley District School Board with approximately 2,000 students currently enrolled. Many Londoners believe it is the best high school in the city. Now how did Tina and CultureWorks ESL school manage to step in and keep the dreams alive. 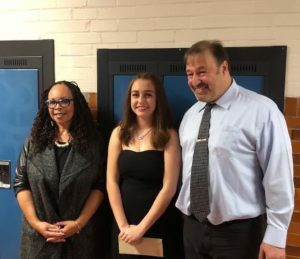 Through an Edmonds award committee member, Tina was asked to come to Beal, where she met with two long-time teachers — Dan Pasic and Tony Marcotullio — and the principal at that time, Don MacPherson. She admits today that she had not made any decision when she sat down to that meeting. She listened and watched the comments from Dan and Tony and the support from the principal. The love of the school – and Jason – and the raw emotion about what Jason meant to each of them was contagious. It is not often you see two teacher/coaches close to tears during the school day. Tina was convinced. And frankly, close to tears herself. She had decided to take over this sponsorship. It was only a matter of how much CultureWorks would put forward. After some thinking, she upped the award by 50 per cent to the winning student and to the after-school program for needy children. The total now is $3,750 each year, $3,000 to the graduating student and $750 to maintain the after-school program. The amount is believed to the largest financial student award in the Thames Valley District School Board. 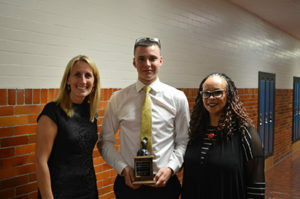 The award goes annually to a senior student who best exemplifies Jason in integrity, community activism, citizenship and excellence in sports. Tina would be the first to point out that from an education point of view, the relationship with Beal makes all sorts of sense. CultureWorks is a successful English for Academic Purposes school (EAP school) that prepares international students to succeed in Canadian universities and colleges. Classes are held on the university campuses of Brescia University College and King’s University College in London and Carleton University in Ottawa. Tina had these comments on the evening of one of the award ceremonies. “Firstly, the award helps recognize a bright young star that was lost to his community, friends, and dear family far too soon. It was unfair and wretched. I’ve seen a lot of unfair sadness in my life. If I can do anything to combat that, I’m grateful for the opportunity. The financial and moral support is not lost on the staff at Beal. Dan Pasic is now retired from Beal, but he does not forget.